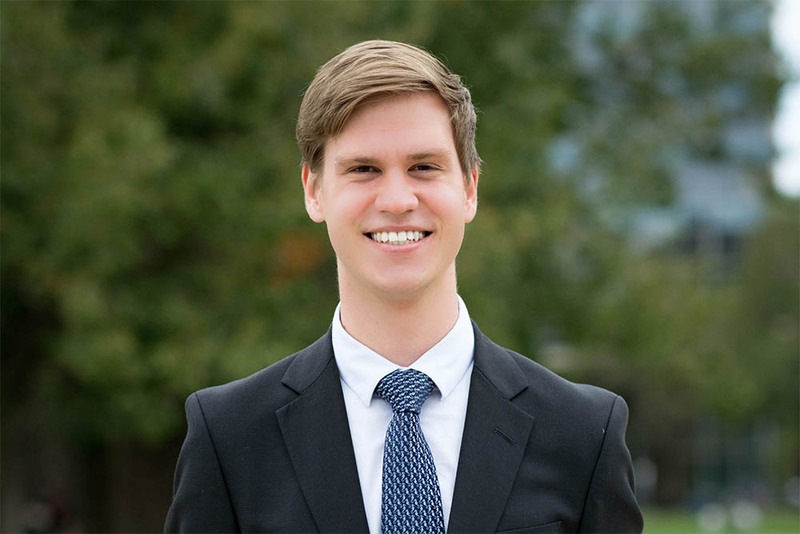 For Australian Undergraduate Business Case Competition (AUBCC) 2016 Co-Chair, Benjamin Ditchfield, international case competitions have been a part of university life since his first year, and have greatly influenced his career choice. He applied on a whim for his first competition three years ago and was successful. "It has been one of the most valuable parts of university, providing an outlet for my natural curiosity," says Ditchfield. "Case competitions have greatly influenced my career into management consulting." 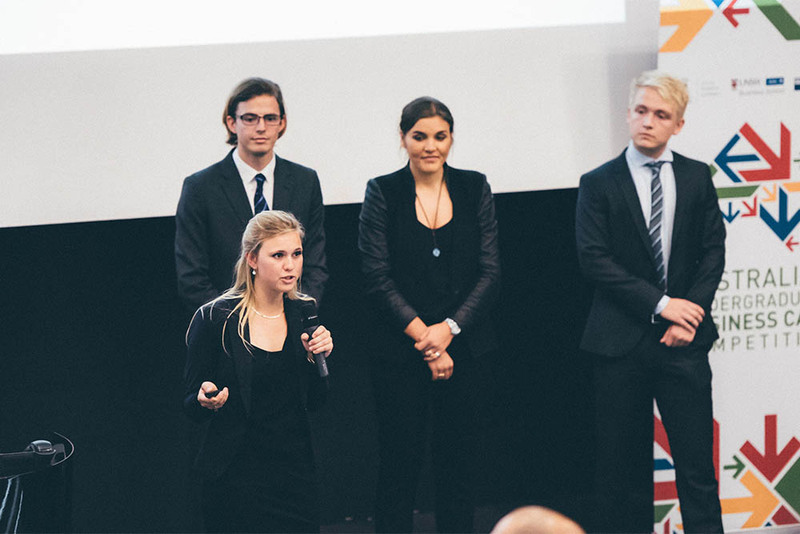 International case competitions provide a unique opportunity for students to challenge themselves and experience what life in the busy corporate world is like. The University of Melbourne has been a partner in the AUBCC together with the University of New South Wales and Queensland University, since its inception in 2014. This year saw sixteen schools from the United States, Canada, Denmark, the Netherlands, Singapore, Hong Kong, Thailand, China, New Zealand and Australia come together for an intensive week long event in Melbourne. Being part of organising AUBCC 2016 was like a natural progression for Ditchfield, who said his goal was to enhance the program’s profile on campus. He was impressed with how participants, tasked with developing creative solutions for Australian business across two rounds of competition, adapted quickly to tackle problem solving in the Australian economic context,. Having represented the University of Melbourne at competitions in Belgrade and Vancouver, Ditchfield is no stranger to having to be agile and resilient in the international case competition circuit. "While all of the participants studied similar things, like business and management, different teams thought in very different ways, bringing their own cultural contexts and unique problem solving approaches," he says of the 2016 participants. Certainly, it is a demanding task, asking students to break down a case and understand an unfamiliar business, within just five hours. "On top of the core analysis required, creativity is highly prized at international case competitions, which can be especially challenging given all the moving parts in the practical business world”, says Ditchfield. It is a challenge that requires intense training, enabling students to think and work more laterally than they do in the classroom - a challenge that the 2016 participants eagerly rose to. Aside from the rigorous technical training in finance, marketing and accounting delivered by industry professionals and academics, teamwork is often one of the biggest takeaways of competing. “When you’re in a case room for 30 hours, in a small space, which you can’t leave, you get to know and work with your team very well”, remarks Ditchfield. It is in these high-performing team environments that the students are able to deconstruct complex business cases. Indeed, after this intensive process, it can sometimes feel a little disappointing to let go of the cases and not work on them in greater depth. For Ditchfield, this is precisely what has instilled his enthusiasm for a consulting career. Participating in international case competitions has highlighted how theory and academic learning can be, and needs to be, adapted and applied to real, complex problems. Opportunities to work on these projects for longer and deliver more meaningful work is particularly appealing, combined with the flexibility of the profession that allows you to work across a range of sectors. Ultimately “it is a way to satisfy my curiosity”, says Ditchfield. Find out more about undergraduate international case competitions at the University of Melbourne.